Passion for the horse industry and passion for serving other seems to rise to the forefront for this year's leaders on the National Snaffle Bit Association's Foundation board of directors. This team is tasked with assisting the Foundation in administering its core programs, including Equestrians With Disabilities Grant Program, Trainer Crisis Fund, Heroes On Horses, Animal Welfare Fund and the Youth Scholarship Program. The Foundation is Your Opportunity to Get Involved by Sharing the Dream! Now, let's get to know this year's officers and directors. Amy Hassinger, of Aberdeen, North Carolina, was a professional horsewoman with a successful national hunter/jumper business as a competitive rider, trainers, judge and coach for more than 20 years. 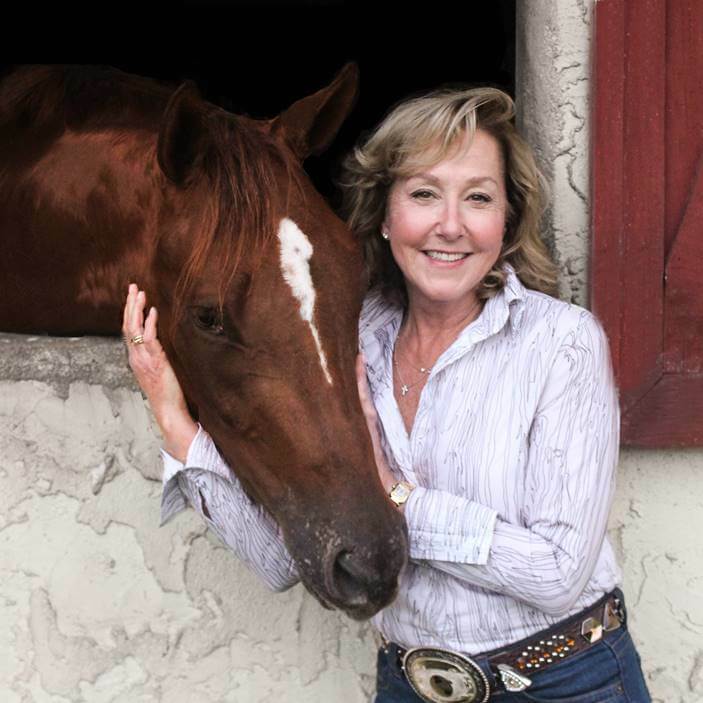 In addition to her duties as the NSBA Foundation Chair in 2019, she focuses her attention on the growth and development of her family veterinary businesses, Hassinger Equine Sport Medicine/Rehabilitation, Equine Healthcare International, and the Hassinger Group. Amy appreciates the mission of the NSBA Foundation and how it touches the lives of so many. 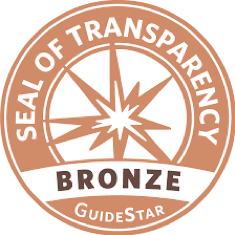 "The ability of a foundation to provide support for it’s members is one of the many qualities that separate NSBA from other organizations," she said. Jennifer Hulcher, of Pilot Point, Texas, has been involved in the equine community for many years. Her hobby is also her vocation through her ranch, Equine Sale Water Therapy, which provides preventive maintenance therapy, conditioning and rehabilitation for horses across server breeds as well as event horses. Since first competing at NSBA events four year ago, Jennifer has met many friends and earned many awards and titles. Jennifer and her daughter Brooke Bancroft have been involved with ApHC for several years, earning national and world champion titles. Jennifer has been an ApHC member since the early 1970's and has served on the Dal Worth Appaloosa Horse Club and Texas Appaloosa Horse Club boards, assisted the Appaloosa Youth Association as well as coordinated Texas World Show Team. 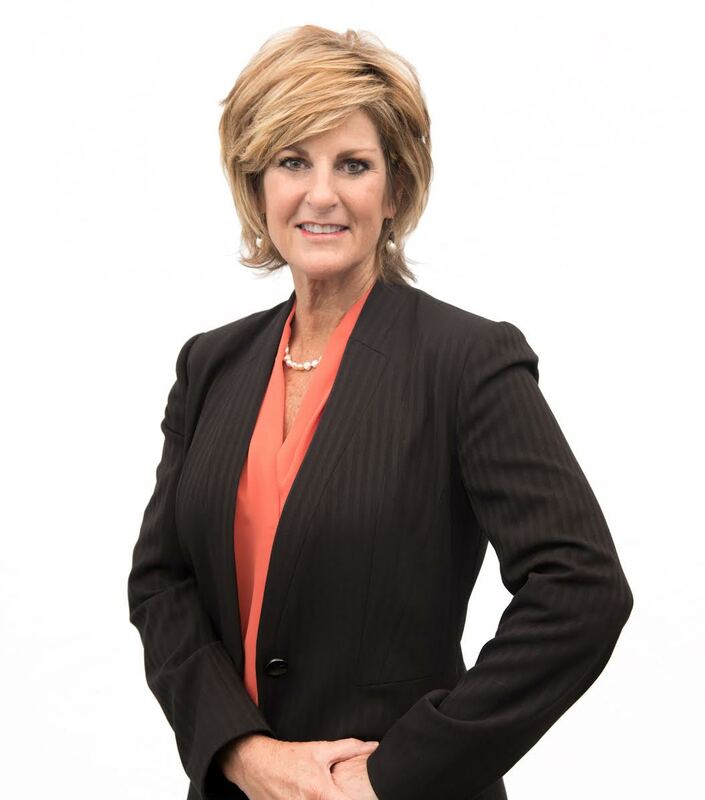 Her community involvement makes her an ideal board member for the NSBA Foundation, including the Community Civic League, United Way, Angel Tree, Humane Sociert of Flower Mound. Teton County Animal Shelter, Jackson Hole Animal Shelter and Coast for Kids. One of horses, Ravishin Radical, has been used as an EWD therapy horse at Stable Strides in north Texas. 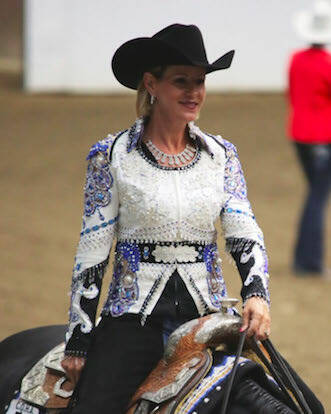 Since establishing her Chepota Farm Appaloosa breeding business 12 years ago, Rebecca Hogan has produced numerous ApHC World, National, Reichert, NSBA BCF and European Champions. She owns 11-time World and National Champion ApHC stallion Spot My Blue Boy. Although she did not have an opportunity to fulfill her passion of owning horses until later in life, Rebecca never outgrew her love for them. She earned an animal science degree from Oklahoma State University and her Juris Doctorate from Southern Methodist University. Before she became solely involved in horses, she raised English Springer Spaniels and commercial cattle. 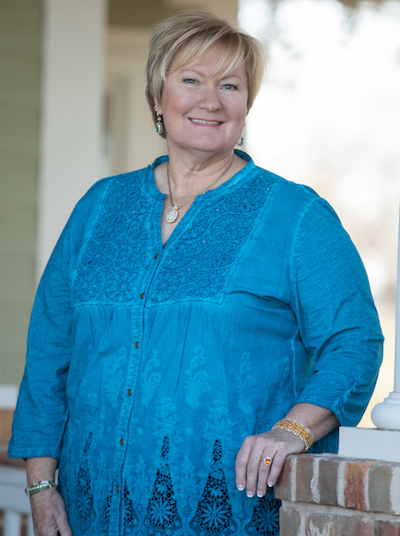 In addition to her work on the NSBA Foundation, she serves on the board of directors of the Texas Appaloosa Association. "I hope to help in building the Foundation beyond its infancy and into the national platform it is becoming," Rebecca noted. "It is gratifying to help the needs of people in the horse industry and those that look to the horse for healing and joy." After being introduced to the NSBA Foundation through the Equestrians with Disabilities and Heroes on Horses programs at the NSBA World Championship Show, Laurel Champlin, of Pilot Point, TX, has watched the Foundation grow and observed the impact fundraising efforts have had on riders who face challengers. She stated “with her children now grown, she now has the time to match her desire to help others and get involved”. Additionally, Champlin has always been a steward of her animals and their welfare, she believes the NSBA Foundation programs and mission to serve others in the horse community, as well as their animals, align nicely with her own values. Champlin is a tremendous asset to the Board of Directors bringing her kind heart and her “Let’s Do It” attitude to inspire those around her. Laurel has been involved with NSBA since it began it 1983. She served as a horse trainer, coach, judge and breeder, before becoming an Amateur exhibitor later in her show career. 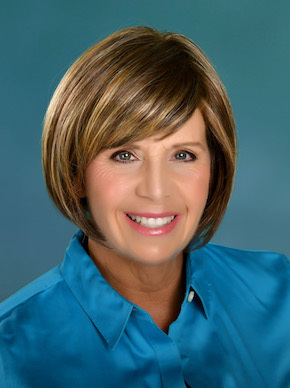 In addition to the NSBA Foundation, she has been involved with other non-profit groups including Desert Club scholarship program, volunteered at Kids and Horses and as a board member of Pet Network. As a recently retired veteran who served in the United States Army Medical Service Corps, Dr. Brad Beauvais, of Cibolo, Texas, has a special interest in assisting wounded warriors and their families. The NSBA Foundation’s Heroes On Horses has provided a perfect fit for Dr. Beauvais. Dr. Beauvais' experience in finance, education and development of small businesses, as well as with other non-profit organizations, provides a valuable asset to the NSBA Foundation board, however his passion for horses is also lifelong. He grew up raising and showing Quarter Horses with his family in South Dakota and passed his passion along to his daugters who also show successfully. Dr. Beauvais operates Brunner & Beauvais LLC, a breeding and show prospect development business with his mother, Patty Brunner, in Rapid City, South Dakota. Although not getting involved in horses until later in her life, Beth Hartman, of Mattawan, Michigan has seen not only success in the show pen, but how horses can change people's lives. As an active volunteer of the Chef Therapeutic Riding Center based in Richland, MI, Beth has had the opportunity to help children, teens and adults make great achievements while aboard the therapy horses. "There are no works to describe the felling I get when I see these people aboard a horse, loving every minute of it. I really want to see the Heroes on Horses and Equestrians With Disabilities programs grow because I've seen with my own eyes how horses can change a person's mood and outlook on life," Beth said. Beth has worked with the NSBA Foundation in creating the Coaches Summit in an effort to continue to educate the therapy community about the benefit of horses and horse showing. Beth has watched her daughter compete for the last seven year and is now enjoying the success of her own horses showing and winning at AQHA and NSBA events across the country. Owner Whitney Lagace is the head trainer and instructor at Whitney Ridge LLC in Higganum, Connecticut. Born in New York, Whitney started riding with encouragement from her mom who loved to see the horses in Central Park in New York City. She started with a pony and her involvement with horses grew as she started working for trainers who had Arabians. She was approached by another farm to start a lesson program using quarter horses and she quickly became enamored with the trainable, calm demeanor and the versatility of the quarter horse. As an AQHA and NSBA credentialed judge, Lagace learned about the works of the NSBA Foundation through her professional relationship with NSBA Director of Operations, Stephanie Lynn. 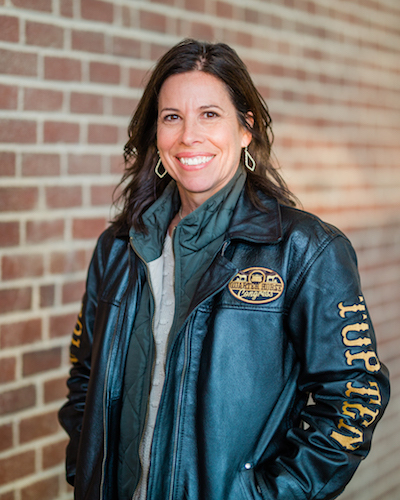 As an instructor during the NSBA Foundation funded Boot Camps, she realized the importance of the outreach and financial support needed to attract and retain all ages of new riders who are interested in the equine industry. She is anxious to get involved and continue to share her expertise and assist in the outreach efforts of the Foundation. She strongly believes in giving back to the industry that has allowed her to have a career and do what she loves. As a loving mother of four, Whitney has balanced her family business alongside her husband Mike who is an engineer. The Lagace’s have 3 grown children and a daughter still at home who shows with her mom at AQHA and NSBA events across the country. A member of NSBA since the association's inception, Carrie Oakley, of Pilot Point, Texas, has been a horse owner, breeder and active exhibitor in the industry for many years. In addition, she has owned two NSBA Hall of Fame horses, Hotrodder's Jet Set and Delea Siemon. 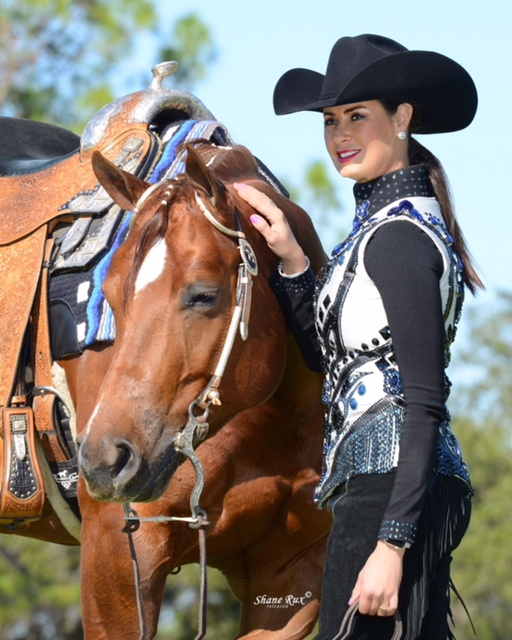 An NSBA and AQHA would champion who is passionate about the pleasure horse industry, Carrie came through the ranks as a Youth, Amateur and Select exhibitor, and passed her passion for horses along to her daughter, Courtney, who also competes in Amateur and Non-Pro events. 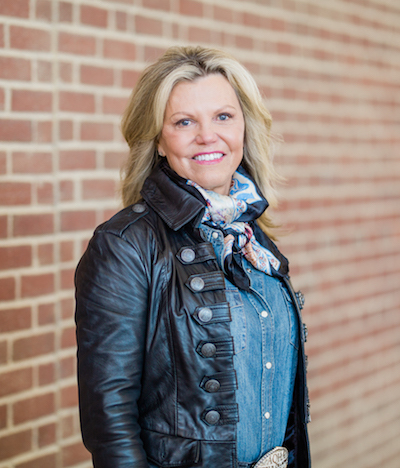 A professional inside and out of the arena, this Texan is also a real estate agent and equine insurance representative, and has won many awards honoring her achievements in and outside the horse industry. She has actively participated in United Way, Chamber of Commerce fundraisers and is involved in missionary work through her church. "I am driven to succeed at my personal and business endeavors," she said. Carrie and her husband Troy reside in Pilot Point, Texas. Merry Sharp of Winter Garden, Florida, bought her first horse in 2006, and had seven horses by the middle of 2007. "I am relatively new to all this, but I have jumped in with both feet and am not looking back," she said. Merry has also jumped into her new role as NSBA board member. Like many people she learned about the NSBA FOundation's EWD and Heroes On Horses programs while competing at the NSBA World Championship Show. Although she grew up in a family that has always been involved in the community and helping others, the EWD and Heroes On Horses programs found a special place in her heart. As a graduate with a masters in social work, Merry understand the powerful impact horses have on riders with disabilities. She operates a 15-acre horse farm in Central Florida where 27 horses currently reside, and a few foals are expected in 2017. Merry and her daughter Jaime are often found competing in NSBA, APHA, PtHA and AQHA events. Page Simpson of Jacksonville, Florida began her love of horses as a four-year-old with her pony “Torpedoes Black Jack”. Horses have remained a constant in her and her family’s life ever since. Competing in over fences classes in the Midwest as a youth to the past 11 years on the Appaloosa Horse Club circuit with her daughter, Dawson, Page continues to be an active horse show competitor herself. Page’s professional career has been varied as gallery owner, grant writer and finally with the Community Foundation for Northeast Florida as Director of Grantmaking. Her experience in program development, reviewing and making funding recommendations will be a tremendous asset to the NSBA Foundation. Page retired in 1999 to raise her daughter Dawson, but continues to volunteer. Page also serves on the Board of Directors for Christian Healing Ministries. In addition, Simpson provided financial support which was instrumental in the implementation of the Windemere Hunter Classic at the Appaloosa Horse Club’s world championship show. She enthusiastically supports a number of Appaloosa Horse Club activities at the local, regional and national levels. Her involvement in many non-profit organizations has benefited the arts, medical causes and efforts focused on women’s related initiatives. She is grateful to have learned some of life’s greatest lessons through her involvement with horses. Page commented, “NSBA’s program of work offers so many opportunities to positively impact a wide range of horses and those who love them in ways that provide relief, education and encouragement”. She is looking forward to help the Foundation continue to grow its mission.